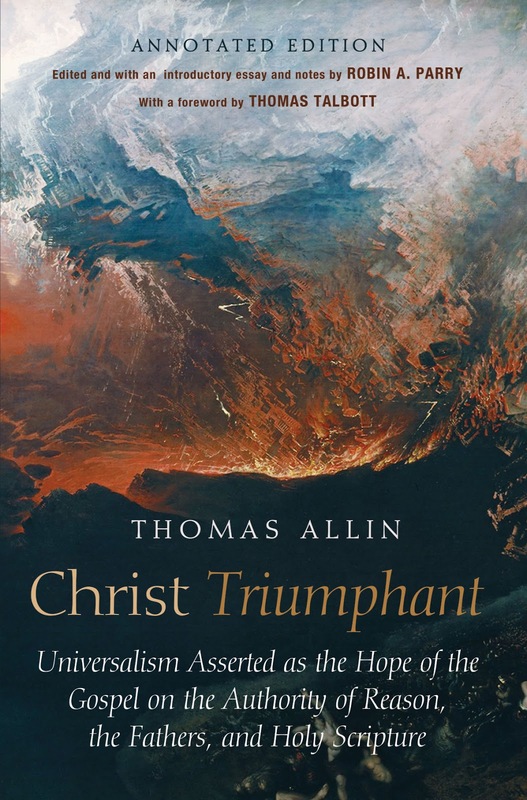 In 1885 the Irish Anglican priest Thomas Allin (1838-1909) published his now classic “Christ Triumphant – or Universalism Asserted as the Hope of the Gospel on the Authority of Reason, the Fathers, and Holy Scripture”. 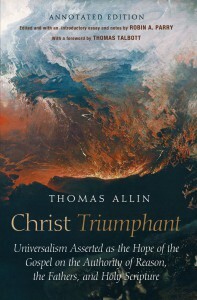 The book has now been republished with an introductory essay by Robin Parry and a foreword by Thomas Talbott. Find it at Amazon here or find the old version at Tentmaker here. See also a sample on Robin Parry’s Academia profile here.